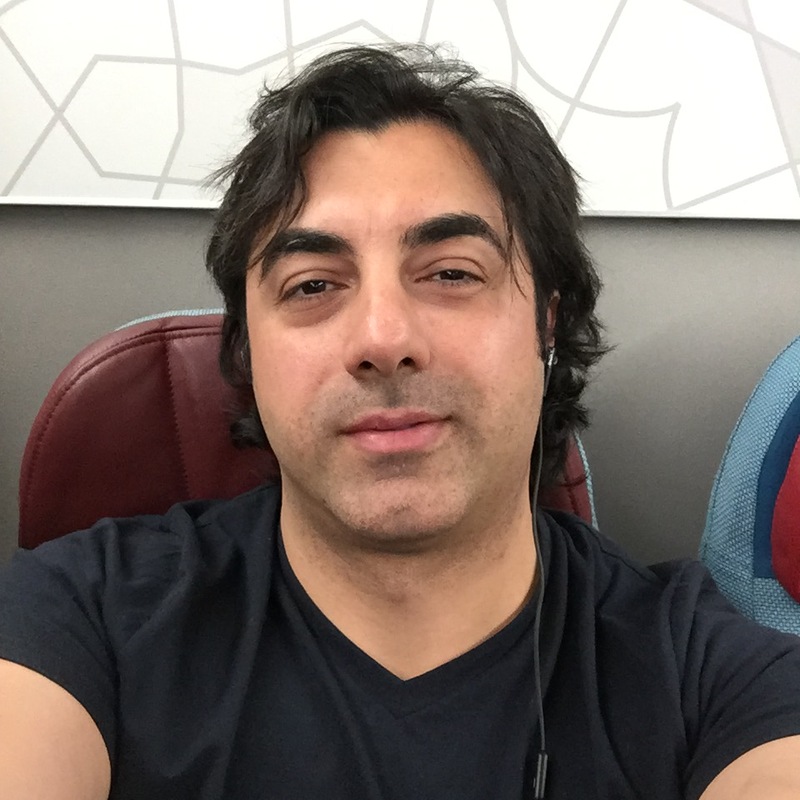 I checked-in with Turkish Airways and boarded the plane. I located my seat, placed my hand luggage, and sat down. I snap my last selfie in the U.S. And I was thinking to myself, when feeling bored and confined, a plane to somewhere…anywhere…could be all we needed, a lesson I came to learn very well when I was working in Iraq and would daydream of getting away by using Google image search. I think almost all of us there would trade anything for a change of scenery. After a few minutes, I was flying over America, crossing the Atlantic Ocean and on to Europe, and to Turkey. I would spend a day and a half there before going even further east to Thailand. As I landed in Istanbul and my feet were getting adjusted to solid ground, I was debating with myself whether to use Uber or take a taxi. I didn’t feel safe using Uber. The driver could be a radical…who knows, so I taxied to the Marriott Hotel. Istanbul was busy – the unending flow of traffic seems to create a certain symmetry. Two hours later, I am on the18th floor of my hotel, a corner room with floor-to-celling windows providing a view to the city. Looking to my left I spotted a big glass tower with the name Trump, over looking new Constantinople. I smiled and thought “this feels good”. I took a shower and slept. I opened my eyes and saw a travel guide magazine next to my bed. I hate those things, they insult my travel emotions. It’s either suggesting places I cannot afford; or I cannot relate to their authoritative reviews. They want me to feel excited and speechless, but most of the time, I feel bored and just want to leave the place, which makes me feel something is wrong with me. “Forget it…why bother,” I said to myself. Because I have been in the city a few times before, I decided to pick up my kindle and venture over to the Sisli neighborhood before walking Halaskargazi street to Taksim Square. The Random and the arbitrary irresponsible littering decorated streets and alleys. The area had lots of ethnic food restaurants, local stores, and cafes. I arrived at Hafiz Mustafa 1864 restaurant at the square. I ordered my favored Turkish delight and an espresso. The waiter served me had a big heavy mustache. It always strikes me as odd to be served by a man like that. I started to read and watch people feeling like a flâneur. It didn’t take long to realize that Taksim is currently full of Syrian refugees – the beggars that kept passing asking for money. It reminded me of when I was in Jordan in 1990s. Back then, Iraqi refugees filled downtown Amman. As I kept reading, and enjoying the taste of my Turkish delight, a couple of ladies sat down close to my table. Having the ears and the eyes of the culture, as I expected, their accent gave them away- Syrian prostitutes. During a war and in places like this, women whose lives were transformed by a few decision from leaders. I started to think about the patterns of prostitution that took place in the Arab countries through recent history. During the ‘50s, the Egyptian prostitutes populated other Arab countries, and then came the Lebanese prostitutes during the civil wars, followed by Iraqis in the ‘90s. Prostitution is a curse that follows a war. And it could be a declaration of war between Arab countries, such as when one country insults the women of another country. This is what happened between Iraq and Kuwait. Before Iraq invaded Kuwait in 1990, a high-ranking Kuwaiti government official threatened the former Vice President of Iraq by making an Iraqi woman a prostitute worth 10 Dinars (less than $1) during an Arab summit in Saudi Arabia. Below is a YouTube video showing Saddam expressing reasons why he invaded Kuwait during one of his trials. And now, it is Syria’s turn. Syria has become caustic and their women, as prostitutes, fill the streets of Turkey and neighboring Arab countries.. Thanks to the Saudis and Qataris. Maybe ten years from now, Saudi and Qatari prostitutes will fill Baghdad. The coffee’s effect started to wear off and the night came fast. I decided to walk back to the hotel. A few minutes into my walk, I saw a coterie of friends gathering and about to start playing music. I stopped to listen to them sing. “Heaven, heaven, heaven…I swear to Allah heaven my country…Even hell is heaven in my country” meaning even if our country is going through hell, it’s still heaven. I shook my head in disbelief over their hypocrisy. “Then go back to Syria if it is heaven… Bashar al-Assad or ISIS?” I wanted to say testily. To hear them singing about their love of the country gave me a bad taste. A Patriotic song sounded hypocritical to me at a time when the world is watching them fleeing Syria. 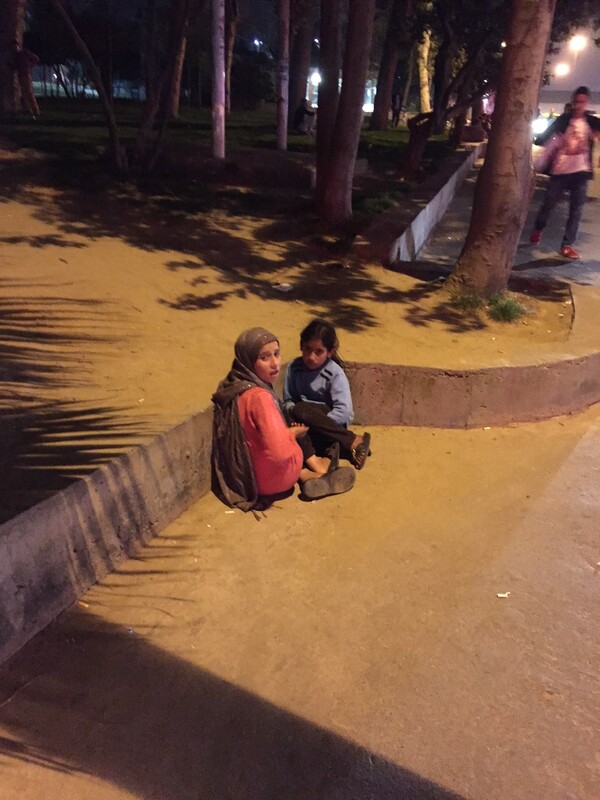 I walked away discontented and there below street trees, I saw two children- this broke my heart. The first thought that came to my mind was to pull $100 out of my pocket and give it to them. But I kept walking. I turn and snap a picture of the two girls. I put on my headset and continued walking on Halaskargazi street to the Marriott. I kept thinking about those two girls and about the hope raised by Arab activists like Iyad el-Baghdadi. He should be promoting Arab philanthropy from rich Arab countries, rather than worrying about U.S. presidential elections and the American support to Israel. As I got close to the hotel, I could see Trump’s name lighting the dark sky of Istanbul. I smiled and thought about my next visit the next day – Thailand. * Remember share, like, and comment are karma acceptable. * If you enjoyed the story, please follow from top right corner to have the next story delivered to your email. You have an amazing talent to bring alive this world with your words — keep writing! Hi Ninos, I have a problem with my number, I can not make any phone calls or send text sms. I will call as soon as it is fixed. Very intelligent description and analysis. Good for you …..Great you still remember that song, that reminded me with my childhood. Thanks.